Article : How much alcohol is safe to drink? Some countries say that its safe for people to drink a little more alcohol than usual on "special occasions." For example, in Canada, the general recommended limit is two drinks a day for women and three drinks a day for men. But the guidelines also say that women can safely have up to 3 drinks, and men can have up to 4 drinks, on special occasions. 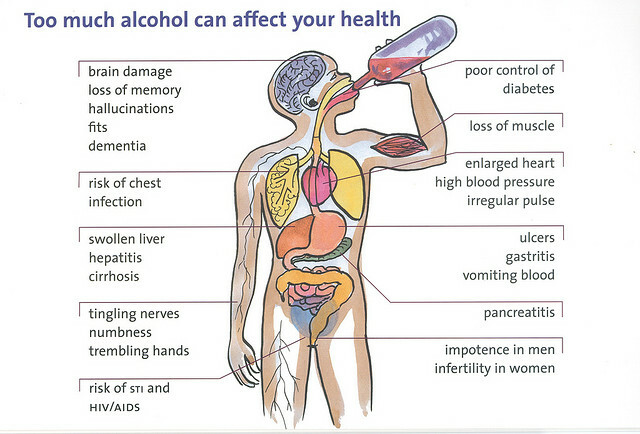 Some countries specifically recommend that people avoid alcohol a certain number of days per week. For example, Fiji, Poland and New Zealand all recommend at least 2 alcohol-free days per week. Canada recommends that people plan to have non-drinking days each week, but they don't recommend a specific number of days. Some countries have a very precise recommendation for the size of a standard drink, for example, its 13.6 grams in Canada, and 12.8 grams in Luxembourg. In many countries, the standard drink size is 10 grams of alcohol, which matches the recommendation from the World Health Organization. Recommendations for daily drinking limits are lowest in Croatia, India, Singapore, Sweden, Slovenia, Bosnia and Herzegovina. All of these countries recommend no more than 10 grams of alcohol for women, and 20 for men, on a typical day. The United States and Chile have the highest daily drinking limits. These countries say that women can have up to 3 drinks, and men up to 4 drinks, on a single day. But this doesn't mean that its safe to drink that much every day. The recommended weekly limit In the U.S. is 7 drinks per week for women, and 14 for men.